January – You may show your rebellious streak this month and want to break with all traditions. Your close family members may wonder what on earth is coming next with you. You could feel that others are demanding too much from you, both in time and resources. Maybe you should make a stand and just say no. Try not to be too outspoken but get your messages across without losing your temper and you will gain far more respect. February – If you are feeling frustrated and stressed you could show this in black moods which means others may not enjoy being in your company very much. If you are looking for romance you are unlikely to find it this month, despite it being Valentine’s Day. Never mind, there are more exciting things just around the corner and your black moods will soon lighten and disappear altogether. March – You will feel much more sociable this month and ready to party. Be ready to work hard and play hard this month. Your work will place high demands on your brainpower, but you will be enjoying the challenges and rise to the bait.. There could be an exciting new investment for your hard-earned cash. Either way, you will be mentally prepared for whatever changes are destined to come. You may be called upon to do some net-working which you will enjoy. April – This month will see you dynamic and at your best. You will be focused and ready for new challenges. You will enjoy time with others, whether in group sports or working together on a new project. You may feel ready for anything, but others may see this as being over- assertive and pushy. Take care not to tread on too many people’s toes as you go about your business. Not everyone responds positively to pushiness and outspokenness. May – This could be a time when your focus is on your family and home. There could be an older person who needs your practical help. There could be a younger person who might need some emotional guidance, even though they may not ask you for it. It’s up to you to notice these things and be there for others. You will feel you have been useful. June – There are likely to be a lot of opportunities this month. You could land yourself a new job which will really challenge you. With the new job comes an increase in wages. You may be focusing on a new diet and increasing your exercise. You may be involved in some group activities of a sporting nature. You will be busy and engaged. This month is also one of the best times to invest. Look around for high-tech companies where profits could be huge. July – This month could have ups and down. You may feel some tension in your employment and this will produce a negative effect. Try not to let the stresses and strains of work spill over into your personal life. To the outside, you will appear cheerful, but inside you may be brooding and unable to sleep. There will be good news towards the end of the month. August – This is an excellent month for you to use your intuition. Follow your gut and you will find the right course and the right answers. Don’t be swayed or put off your course by those around you. A senior person could take you to one side. There could be an enlightening conversation which could really make you think about your future. Towards the end of the month, you will brighten up and crack some jokes. Others will look at you in a new light, not realising how witty and funny you can be. September – There could be some more ups and downs this month. You may cross someone who will not forgive you. There could be sarcasm and things said which can not be taken back. Apologising simply won’t cut it. Try not to make things any worse by being too outspoken. October – This is a quieter month when you will start to see a result in your professional surroundings. Your contributions will be well received by all and you may even achieve an elevated status. There could be some happy times in relationships this month and if you are single, this is an excellent month to meet new highly compatible people. November – This is another quiet month and time for some reflection. You may be taking stock of many things, including your home, your finances, your personal relationships as well as your employment. It is a good time to take a complete break from routine and gt away for a bit. A change of scene will do you good and refresh your thinking. December – You will enjoy this month, taking a full part in Christmas celebrations. The family will be extremely important to you and you will enjoy much socialising as well as family get-togethers. You will be funny and the centre of attention. Others may look to you for approval. Don’t be offended if a youngster goes against your advice. 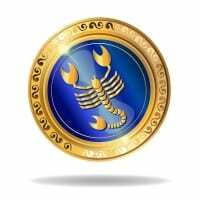 It is the natural course of things Scorpio.